With the maize planting season approaching, agronomists and growers gathered recently near Telford, Shropshire to discuss the benefits offered by narrow row widths and increased seed rates for proactive maize agronomy. Abby Kellett reports. 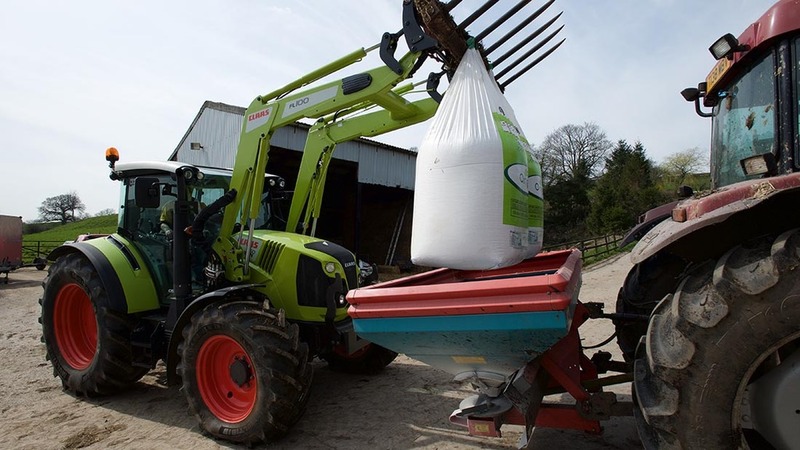 Seedbed preparation, weed control and crop nutrition were some of the topics discussed at the meeting held by Syngenta, with the aim of giving maize a fast start and clean growth. Agronomist, Simon Draper of the Maize Growers Association, highlighted the agronomic factors responsible for most variation in yield. He underlined the effects of soil compaction on final crop yields since maize is known to be a ‘lazy rooter’. He said: “A recent French study showed that if you have compacted soil in maize, you can lose between 30 and 35 per cent of your yield. In wheat, this variation is only around 10 per cent. To mitigate against large yield reductions, he urged farmers to subsoil land prone to soil compaction and stressed the importance of adjusting the subsoiler to gain optimum performance. Considering cultivation methods as a whole, he said plough-based systems offered certain benefits compared to min-till or strip-till alternatives. In field experiments, ploughing gave the highest rate of emergence, provided the most consistent drilling depth, while crops tasselled quicker and rooting was more uniform, he said. Mr Draper said although strip tillage had its advantages in reducing soil run-off, the yield reduction as a result of this system meant it was not an option. Unpredictable weather and workload pressure on contractors could mean drilling is done too quickly, acknowledged Mr Draper. He advised farmers to drill no faster than 6-8km per hour, otherwise a yield penalty of around 40 per cent could be expected. He said: “Whatever the drill is, the faster you go the lower the plant density, the more gaps there will be within the row and the more sowing depth varies. Varied sowing depth result in plant loss, but it also leads to variable establishment, which impacts on crop yield. “If you drill fast, you will get plants at different heights. If you get a big row of maize next to a small row of maize, the rows will compete against each other and yield will be reduced,”he added. He also offered some advice on optimum row width. While row widths of 75cm (30in) were conventional, Mr Draper suggested narrower row spacing could benefit farmers looking for dry matter yield alone. In trials with row widths of 50, 70 and 90cm (19, 28 and 30 in), maize plants grew taller in the narrowest row width as plants competed for light. “Interestingly, the crop grows faster and you actually get more leaf, quicker and the tasselling date becomes earlier. “A high seed rate, along with close rows will give us nearly one tonne more than the conventional if dry matter yield is what you are aiming for,” he said. 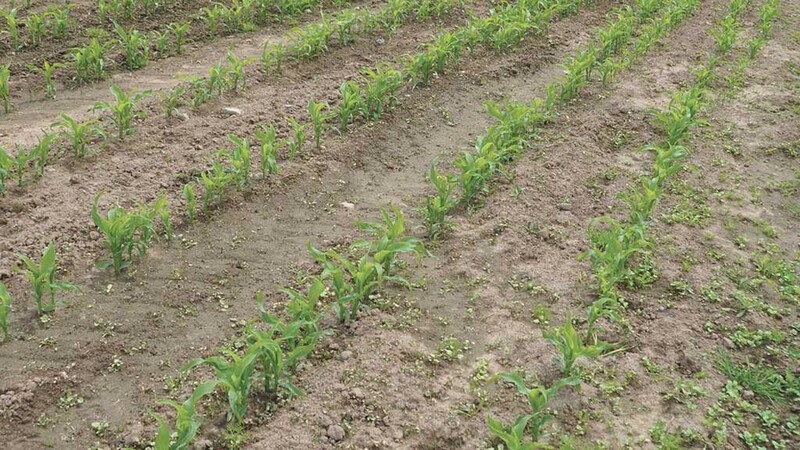 Since maize is not a competitive crop, an early herbicide application was required in order to remove competition at early stages of crop development, according to Syngenta field technical manager Iain Hamilton. He said while there were the herbicides available to remove fairly large weeds later on, crops would have already suffered a yield penalty if weeds were allowed to develop. “Crops should have been treated by the four leaf stage, or at least most weeds should be tackled by that time. “By the four leaf stage we would expect all the weeds to have germinated, the weeds will be sensitive to the herbicide and the maize crop will not intercept a lot of the chemical. “When crops get to six to eight leaves, yes you can still control the weeds, but you have already lost some of the yield potential,” he said. In areas anticipated to have a high weed burden, Mr Hamilton recommended making use of pre-emergence herbicides to reduce reliance on the post-emergence treatment. “It allows flexibility for the post-emergence treatment. For some of the most difficult weeds such as black-grass, at least we can reduce their numbers. Grassland consultant DrGeorge Fisher of CF Fertilisers, looked to unravel some of the uncertainty associated with maize nutrition. He described recent research conducted by the company which aimed to evaluate the amount of nitrogen the maize crop required. Carried out across 100 crops, the research concluded the RB209 recommendation of 100kg per hectare of nitrogen was, on average, correct. 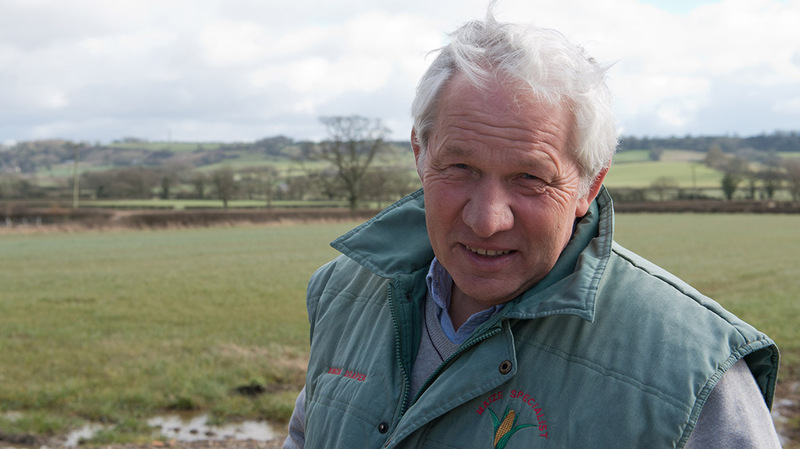 However, Mr Fisher emphasised the need for farmers to assess their own farm nitrogen supplies, as 70 per cent of systems did not fall into average the average band. 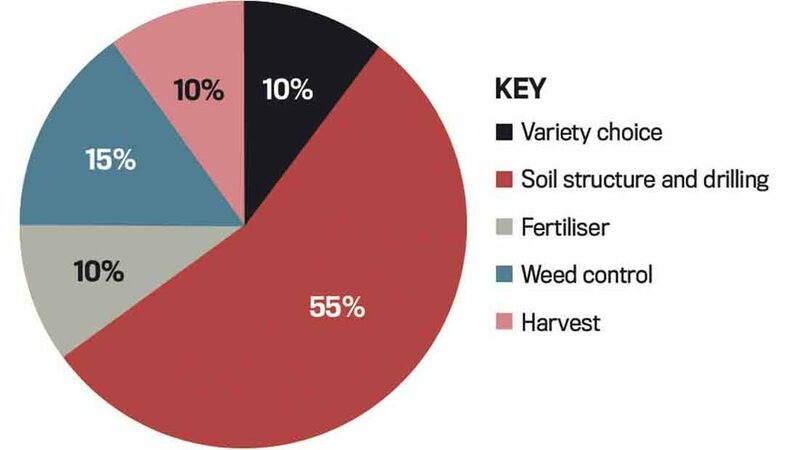 In order to ensure nitrogen applications were relevant to individual farms, he proposed using soil nitrogen supply (SNS) tests which could predict the amount of nitrogen that would be released through organic matter mineralisation over the growing season. There was also a need to measure the available nitrogen content in manure with the same accuracy. Trials have also revealed a growing need to supplement maize crops with sulphur. “Not so long ago, I would have said maize does not need any sulphur at all, because maize is a starch-rich crop with a lot of protein so why would it need sulphur?,” said Mr Fisher. However, recent trials revealed maize could benefit from an application of sulphur, with yields improving by up to 15 per cent were it was applied. He put this down to the fact sulphur deposition is decreasing every year and so crops are mining sulphur out of soil organic matter. “In terms of insurance, 50 kg per hectare would be the standard recommendation, although slurries and manures can also provide an adequate supply of sulphur in many cases,” said Mr Fisher.